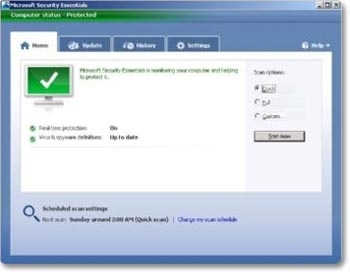 Today, Microsoft has announced that it is ready to bring a full version of free antivirus application called Security Essentials and now it is available for download. It has the features to protect virus, spyware, malware and ad ware in order to gain the support from user side. Meanwhile, this software is smashed by other antivirus giants like Symantec. It says the new software is not able to give the full range of protection that you would normally get from Symantec. In addition, this Microsoft is misleading and the consumers need firewall protection, web protection, anti-spam and identity safeguards, said by the Symantec officials. When Microsoft reports about this Security Essentials, it is able to gain the attention of the consumers as it has been built off Microsoft Corporation.